The Eccles Scholarship is sustained thanks to generous funding from the George S. and Dolores Doré Eccles Foundation, dedicated to serving the people of Utah by funding programs that enrich and enhance Utah’s communities. Scholars earn this highly competitive and distinguished scholarship based on outstanding academic talent, exemplary character, and exceptional leadership skills. The Eccles Scholarship includes benefits that extend beyond the generous scholarship, integrating students into a unique academic community supported by faculty and alumni. Students accepted into this program—30 per year—participate in a selective cohort experience during their time as undergraduate Honors students. Eccles Scholars begin by taking a yearlong class, Ethics, Leadership and the Humanities, taught by emeritus faculty member Jack Newell, Ph.D. 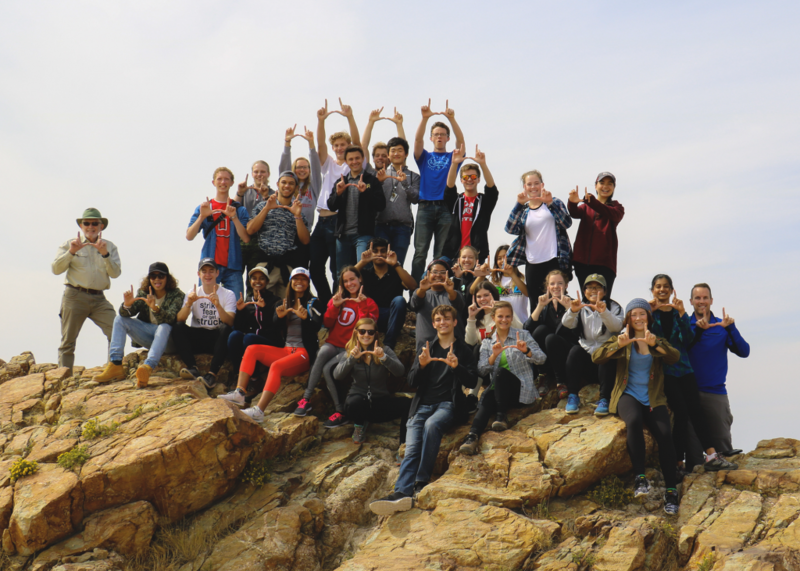 This course introduces first-year students to the potential of gaining a truly rich undergraduate education at The University of Utah and starts them on a path towards developing themselves as ethical leaders. During the first year students live together in the Donna Garff Marriott Honors Residential Community as part of a living learning community. Additionally, students take a series of cohort classes together during their time at the University, including a Reacting to the Past Intellectual Traditions course taught by award-winning professor, Dr. Ann Engar. As students progress into their individual majors, the Eccles Scholarship continues to support them with special programing, including guaranteed admittance into an Honors Praxis Lab, supported leadership conference sponsorship, and distinguished scholarship and graduate school mentorship. The Honors College welcomes applications from students across all interests and majors who have been admitted to the Honors College for Fall or Summer 2019. Only incoming first-year students accepted to the Honors College and coming directly from high school with no gap year may apply. Students who receive the scholarship can still apply for deferral and any deferrals will be honored by the Honors College. Both in-state and out-of-state applications are accepted. Applicants must have earned a 3.8 cumulative unweighted high school grade point average at time of application. Only completed applications will be considered. Applicants must first complete a University of Utah General Scholarship Application (the system prompts them to do this before they apply to any scholarship).